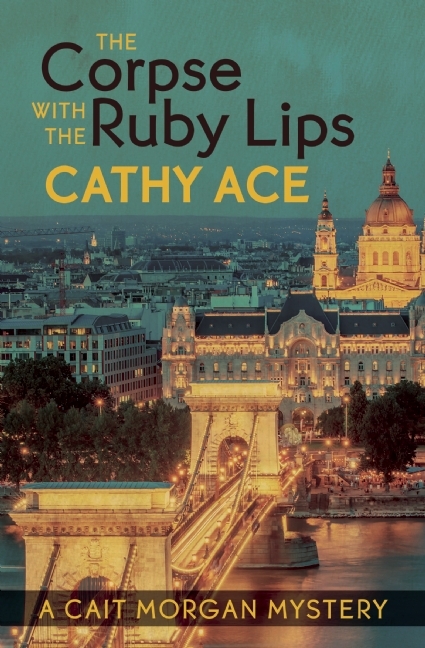 I’m so excited…I’m off to Budapest next month! Do you watch all those wonderful Masterpiece Mystery shows on PBS? Yes, me too, I’m glued to them. 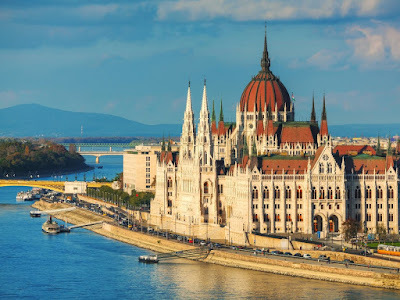 Before they begin the show itself they have those advertisements for river cruises where people meander along the Danube with the fabulous architecture of Budapest all around them…well, I’m not going on one of those cruises (no such luck! 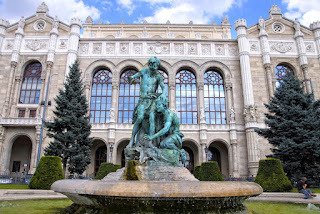 ), but I am being sent by my university to teach in Budapest for a month, so I get to see it all – in person. Yes, I know I’m a lucky duck! They even have a little apartment sorted out for me to live in while I'm there. Of course, that means no room service, but it's nice to have a place to call one's own when you're in a city for such a long time. Budapest is such a strange and fascinating place: there’s been human habitation in the area since the Bronze Age, and its story in the nineteenth and twentieth centuries has romance, horror, and hardship enough for any opera-lover to be satisfied. That said, and while I might be what some people would refer to as a “fat lady”, I won’t be doing any singing while I’m there, though I do hope to catch some performances of works by Liszt and Bartok during my visit. It's a wonderfully musical place, and there are several excellent concert venues. And the food? Oh dear – I might be in trouble! I’m already on a diet so I can enjoy myself by indulging in glistening bowls of goulash, sizzling sausages, and all sorts of schnitzels and strudels! They like their beer there, I understand, so I’m planning on trying a few of those, too. 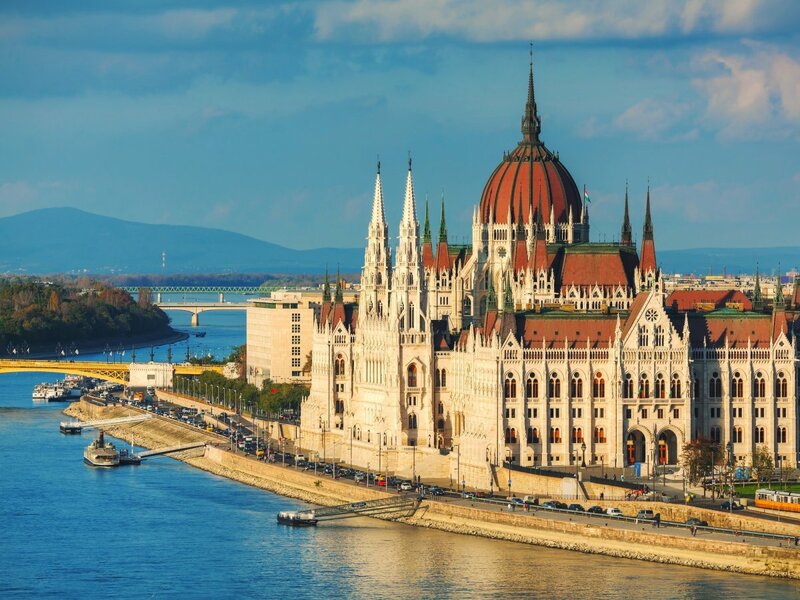 I’ll still be in Budapest when they celebrate St. Martin’s Day on November 11th, and I hear it’s traditional to enjoy roast goose that day…and did I mention that the area is well known for foie gras? Oh dear – my downfall, I’m afraid. Ah well, I can diet again when I get back, I suppose. Bud and I are 100% sure we won’t get mixed up in anything to do with murder on this trip. How could we? We don’t know anyone there, and Bud’s so good at helping me keep my feet on the ground that I won’t have any opportunities to wander off the straight and narrow. Find out what happens when Cait Morgan has to take her trip alone, without Bud’s company or steadying influence, by reading THE CORPSE WITH THE RUBY LIPS (the 8th Cait Morgan Mystery), which will be published by TouchWood Editions in Canada on October 18th and in the USA on November 1st. It’s available for pre-order NOW! Wonderful!! 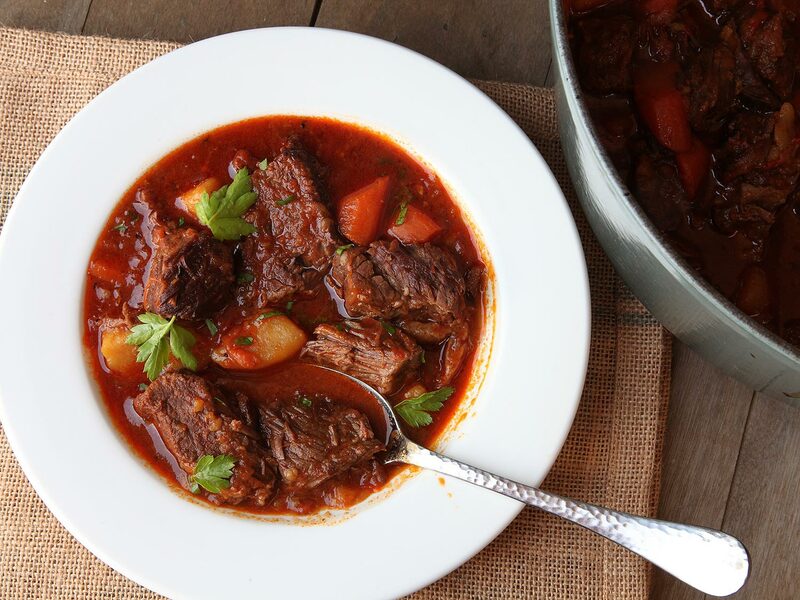 Ha, we just made goulash this week. I hadn't had it for years. I'm going to look into this series, new to me. Looks like a great read.